Acid Resistant Mortar offeredcome manufacture by us in net weight packaging of 50 kgs. Made available under names Cashewcem power and Forogen power, we are leading manufacturers of acid resistant mortar in Tamil Nadu area. 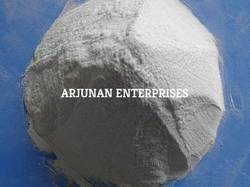 Some of its features include offering optimum working performance; featuring constitution of superior acid-resistant aggregates for quality working p-performance support; helps in making fast the hardening process; offers superior resistance of cement to effects of acid and water among others. We are the Leading manufacturer of Acid Proof cement manufacturer in Tamilnadu. Looking for Acid Proof Cement ?